Earn commissions and spread the word about the best option and stock research site on the web - become an affiliate! Earn a hefty 50% recurring commission! Commissions are paid during the entire life of the subscription, until cancelled. Flexibility to promote any page on Market Chameleon - be creative! MarketChameleon offers an extensive array of investment tools, data, and insights to assist investors with all types of trading research. Our subscribers include traders of all types who are interested in market data and analysis tools on stocks, options, and ETFs as well as specific details on dividends and earnings actions. Our Affiliate Partner program offers exciting ways to both enhance the value of your website with additional financial data, as well as add an attractive additional revenue source to you as well. The MarketChameleon Affiliate program is flexible and adaptable. You can promote by placing links anywhere you like - on your web site, email, social media or blog (including PDFs!). Your link can target any page on Market Chameleon. Our free web widgets are a unique differentiator of our affiliate program. A web widget is a snippet of html code that can be added to a web site. You can easily add one or more of our widgets to your web site to display an information stream that is automatically updated throughout the day. Each widget contains dozens links which behave like your affiliate links. When a user clicks on your affiliate link and navigates to MarketChameleon, it creates a referral. If a referred user subsequently makes a purchase, then you, the affiliate earn a commission. 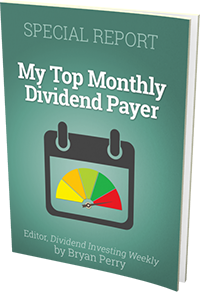 The widgets include a Dividend Calendar , an Earnings Calendar and Market Movers Updates. Once you have been approved as a MarketChameleon Affiliate, you are entitled to a generous 50% commission on each lead which also becomes a paid MarketChameleon subscriber within a year of first contact to our site. Commissions are paid monthly, for as long as your lead continues to hold a paid subscription! Learn more about our subscription offers here. To get started, all that you need to do is sign up for our Affiliate program . Its an easy and straight forward process. If you would like to learn more about Market Chameleon, our services, and partner offerings, please do not hesitate to contact us. Thanks for your interest in Market Chameleon. We look forward working with you!